Roland L. Freeman is the founder and president of TGCD. On June 29th, 2007, the National Endowment for the Arts announced the 2007 recipients of the NEA National Heritage Fellowships, the country's highest honor in the folk and traditional arts. Twelve fellowships, which include a one-time award of $20,000 each, were presented to honorees from nine states, chosen from among 259 nominations on the basis of their artistic excellence, cultural authenticity, and contributions to their field. The NEA National Heritage Fellowship program is presented with support from the Darden Restaurants Foundation. 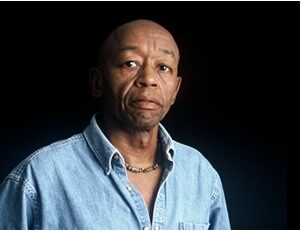 TGCD is proud to announce that the 2007 Bess Lomax Hawes Award, the highest honor awarded as part of the NEA National Heritage Fellowship, was awarded to Roland L. Freeman, TGCD founder and President. > Washington Post Article on Roland L. Freeman & the Award. Freeman, a native of Baltimore, Maryland, began his career as a freelance photographer in the 1960's, photographing the Civil Rights Movement. Assignments since then have emphasized photojournalism, commercial work, and photodocumentation. He has been a research associate for the Smithsonian Institution's Center for Folklife and Cultural Heritage since 1972, a faculty member at several universities, and during 1997, the Eudora Welty Visiting Professor of Southern Studies at Millsaps College (Jackson, MS). He was the first photographer to be awarded a Young Humanist Fellowship by the National Endowment for the Humanities (1970), has received two Masters of Photography Visual Arts Fellowships from the National Endowment for the Arts (1982, 1991), the Living Legend Award for Distinguished Achievement in Photography from the National Black Arts Festival (1994), and an Honorary Doctorate in Humane Letters from Millsaps College (1997). A major emphasis of Freeman's work is his ongoing self-assigned project "While There Is Still Time," a study of Black culture throughout the African Diaspora that uses the camera as a tool to research, document and interpret the continuity of traditional African-American folklife practices. This work is generally done in close collaboration with folklorists, historians, sociologists and community activists, often in methodologically innovative ways that have been integral to his contributions to the work of photographers of his generation. Books by Freeman include: Something To Keep You Warm: The Roland Freeman Collection of Black American Quilts from the Mississippi Heartland (Mississippi Department of Archives and History, 1979); Southern Roads/City Pavements: Photographs of Black Americans (International Center of Photography, New York, NY, 1981); Stand By Me: African American Expressive Culture in Philadelphia (Smithsonian Institution's Office of Folklife Programs, 1989); The Arabbers of Baltimore (Tidewater Publishers, Centreville, MD, 1989); Margaret Walker's 'For My People': A Tribute, Photographs by Roland L. Freeman (University Press of Mississippi, Jackson and London, 1992); A Communion of the Spirits: African-American Quilters, Preservers, and Their Stories (Rutledge Hill Press, Nashville, TN, 1996); and, The Mule Train: A Journey of Hope Remembered (Rutledge Hill Press, Nashville, TN, 1998). Each has been accompanied by a national/international touring exhibit. Fire in My Bones: Transcendence and the Holy Spirit in African-American Gospel, by Glenn Hinson with photos by Freeman (University of Pennsylvania, 2000), won the Chicago Folklore Prize, an international award recognizing the most significant book in the discipline for the year. Magazine work includes: London Sunday Times (England), Der Stern (Germany), Paris-Match (France), l'Express (France), Sfera (Italy), Quilt Japan (Japan), Time, Newsweek, Forbes, Nation's Business, Inc., Human Behavior, Family Circle, Health Quest, Southern Cultures Journal, Essence, Black Enterprise, Emerge, The World and I, and National Geographic. Major photo essays have appeared in: The State of the Cities, A Report of the Commission on the Cities in the 70's (Praeger New York, 1972); Children Out of School (Children's Defense Fund, Washington, D.C., 1974); and, Neighborhoods: A Self-Help Sampler (Department of Housing and Urban Development, Washington, D.C., 1979). For a more information on Freeman's work and achievements, please contact TGCD. To see a sampling of his photography, visit the Galleries and Exhibits sections of the website. Freeman is available through TGCD to curate and develop exhibits, and for lectures and consulting work. For more information, please contact TGCD at 202.882.7764 or info@tgcd.org.